Okay, now this is what I mean when I say Nannan is inspirational. 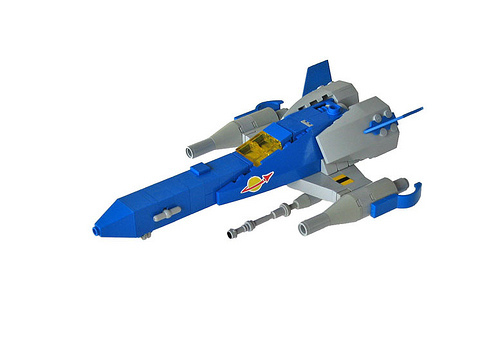 After seeing this, I immediately went to ebay lookng for classic space sets. Do I want to build what he did? No. Am I running some sort of sad little competition with him in my mind? No. His little ship here got me interested in a genre of building I rarely dabble in. Enough to drop some dough and have fun with for a few more hours. This is beautiful – the engines are particularly nice. Are you kidding me? Hahahahahaaha well..